Make your mix stand out from the crowd. 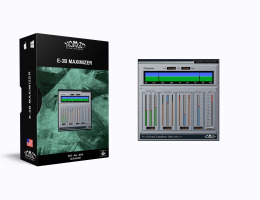 The Multiband Loudness Maximizer brings the sound of professional mastering to any audio application. The multiband maximizer delivers three frequency bands of look-ahead, brick-wall limiting to precisely control and maximize the output levels of a recording. Input levels are individually adjustable for Low, Mid and High bands, and the crossovers can be moved to precisely define the frequency bands. Lower the Threshold to engage the limiter, and the levels are automatically increased to compensate for the attenuation. Set the release to yield smooth limiting. Once you have set the right amount of limiting/attenuation, you can even add more level to the output to give you all the volume you could want.